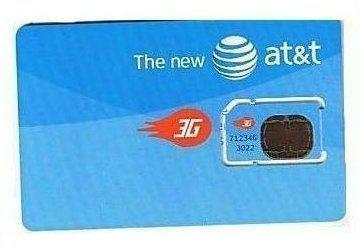 Why MicroSIM for the iPad 3G? 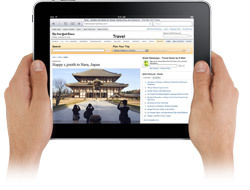 Few observers were surprised that Apple’s iPad was to include a SIM card tray to open the device up to the world of 3G connectivity but a few eyebrows were raised at the discovery that it would be delivered via a relative newcomer to the SIM family. The 12mm by 15mm micro subscriber identity module (MicroSIM) or Third Form Factor (3FF) format was developed by ETSI (European Telecommunications Standards Institute) to fit into devices too small for SIM or MiniSIM cards. Although it’s been on the table for a while, the standard wasn’t actually agreed until 2003 and hasn’t yet appeared in too many devices. MicroSIM is backward compatible with larger formats but the larger cards will not fit into MicroSIM card bays (obvious I know, but needed to be said). Of course that’s set to change. T-Mobile was the first to announce that it intended to use the tiny card at this year’s CES, more about that a little later. 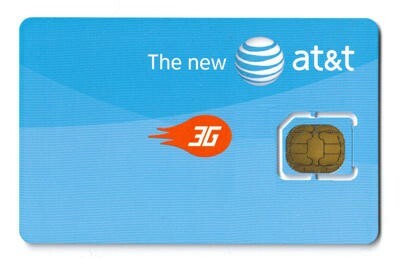 Apple’s three flavors of 3G iPad will be unlocked and contract-free but AT&T will be the initial 3G carrier and will no doubt enjoy a period of user exclusivity while other providers ponder the value of getting into bed with Apple and adopt MicroSIM. One of the first things you notice about the iPad of course is that it doesn’t fit into the device category for which the MicroSIM was developed. If a SIM can fit into an iPhone then an iPad should be no problem, being about three times the size. But while the format is still relatively new, coupled with the facility for providers to store proprietary applications directly on the card, it may provide some short respite from attempts to crack open any network restrictions imposed by carriers (as witnessed with the iPhone). As I mentioned above though, at least one other carrier in the US has announced support for 3FF, T-Mobile. Lok8u’s nu·m8 GPS locator has just been released and includes a T-Mobile MicroSIM. With other wrist-bound devices making headway into the mobile market too, AT&T’s initial enjoyment as sole provider could in fact be very short-lived indeed were it not for frequencies. We’ll have to wait and see just how all this will play out but it’s all very intriguing to say the least. Details of 3G connectivity outside the US are, at best, sketchy although it has been suggested that Orange and O2 have both been busy buying up stocks of the diminutive 3FF cards recently and will presumably not suffer from the frequency problems that may just extend AT&T’s reign over the iPad’s 3G Stateside kingdom. Apple’s liking for obscure connectivity is well-known so is the company just trying to shun convention or lead the field with its choice of MicroSIM or is there something else going on?